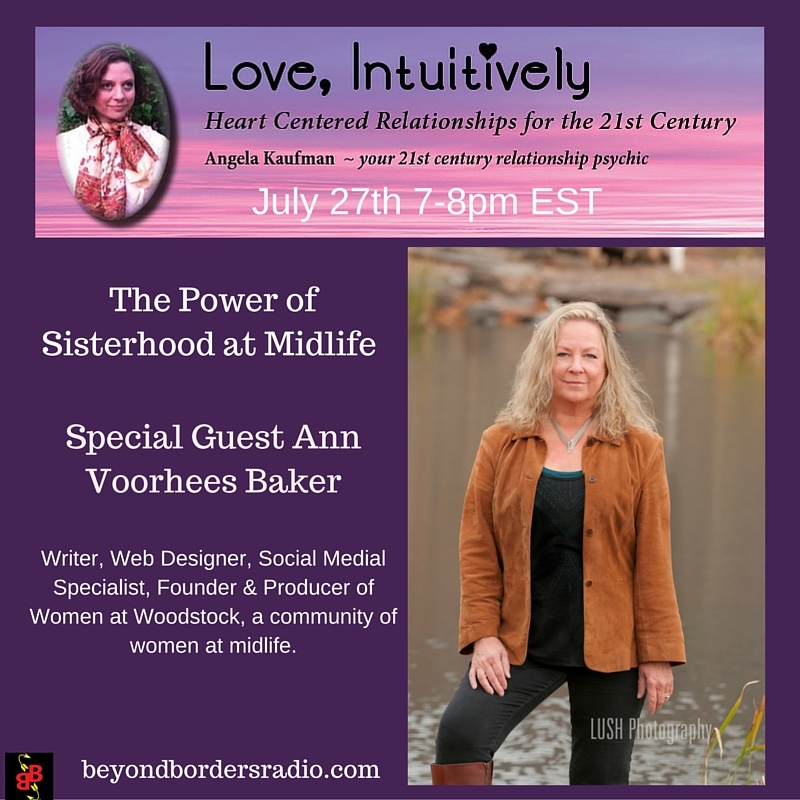 Ann Voorhees Baker is the founder and producer of Women at Woodstock, and online community for women 50+ and annual gathering to celebrate the power of women at midlife. (Womenatwoodstock.com). She is a strong believer in the power of connections, and in the importance of remaining engaged with changing technology at any age. She helps empower women through sharing her skills and knowledge of internet and social media. She is also a writer and, as we explore in this discussion, Ann has wears many hats and has lived through numerous professional incarnations. Ann shares her inspiration to form what would later become Women at Woodstock, including the importance of a brand new feature, a women’s writer’s workshop for all experience levels. She also shares her experience with the power of connections and importance of friendships as women mature.